We at Big Bird’s Playhouse, always encourage parents to schedule a school tour in order to see and experience the daily life of our school. The school’s tour will give you a glimpse of the programs, experiences, and kind of environment that our educational child care center has to offer. The main purpose of this tour is to let parents see and feel how much we care for their children. You will be amazed to see how safe and secure the lobbies and classrooms of our day care academy are. You will also have the privilege to see how the designs and environment of our classrooms promotes curiosity and engagement in children. Our clean facility and reliable security measurements will ease all your worries and concerns. We want you to see and experience the educational journey of your child, so that you can feel proud about it. We also welcome any suggestions that you might have, in order to help us improve our Staten Island child care center. 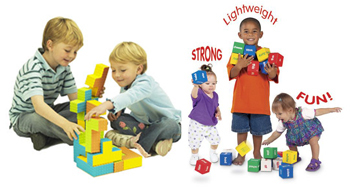 The Block Area is a center that is designed to allow your children to develope coordination, refine motor skills, and balance. As in all centers the children are free to move from center to center to explore, manipulate, create, and work where interests take them. Kids become aware of money at an early age. It is a perfect way to introduce math concepts from sorting to counting and eventually it can help with learning how to add, subtract, multiply, divide and much more. Young children enjoy looking at and playing with money. At our center we gets our children involved into different activities such as Building Coin tower, Coin Toss and Money Exchange activities. At Big Bird’s Playhouse we give children a head start by providing a rich musical environment. We get them involved in fun and active musical activities that encourage children to go a long way towards musical success later in life. There are many classical and instrumental music selections that are great for toddlers and preschoolers and can be used in a wide variety of day-to-day activities including free play time, meal time, bath time, nap or bed times, etc.